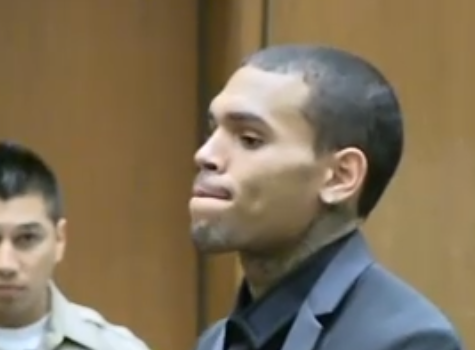 Chris Brown is once again in very hot water. The singer and his bodyguard were arrested in Washington D.C. this morning and charged with felony assault. Among other things, this would constitute a parole violation for the entertainer and a high probability of prison time. He has a history of felony assault of his former girlfriend, Rihanna. 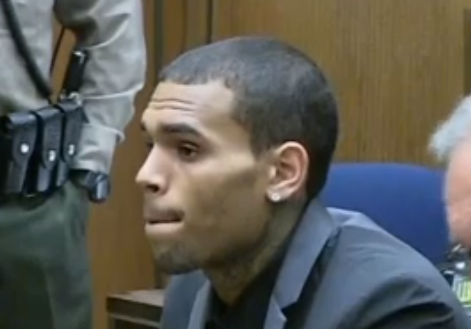 The above video is from a court appearance earlier this year in July. 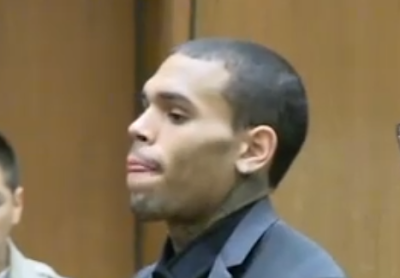 At the 0:06 mark, Chris Brown can be seen displaying a "Tongue Jut" (aka "Lizard Tongue"). This classic body language signal is significant the emotional tone of: "I did a foolish thing", I got away with something", "I've been bad" or "I've got caught". It can also be a nonverbal sign of excitement (when clustered with other nonverbals it can indicate excitement or self-deprecating humor). Less than a second later, Brown displays an "Inward Lip Roll" (ILR) with a coexisting "Jaw Jut" (0:06.5 - 0:08.5). In this context a jaw jut is an extremely reliable body language indicator of anger. The simultaneous inward lip roll is a signal of the psyche's attempt at suppressing an (outward) emotional display as well as preventing internal emotion escalation. It is much more commonly seen with negative emotions (here anger) however it can sometimes be seen in positive emotions such as joy-happiness. When a man displays a jaw jut, there is a good chance that the anger will escalate to violence. This probability is very significantly increased if the hand(s) are forming fists. Red flag time. Another inward lip roll with somewhat less jaw jutting is exhibited at 0:26 - 0:28. There is tons of other body language in this short video. What did you miss the first time you watched it?